2) The Former president of BCCI. 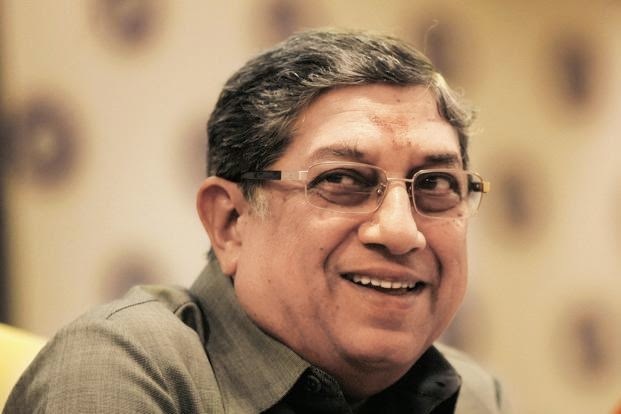 3) The Managing Director of India Cements Limited. 5) The owner of Indian Premier League (IPL) franchise team Chennai Super Kings. 6) The president of the Madras Chamber of Commerce and Industry from 1996 to 1998. 7) A member of the Executive Committee of Federation of Indian Chamber of Commerce and Industry (FICCI). 8) The President of the All India Organisation of Employees from 2000-2001. 9) A member of Prime Minister's Council of Trade and Industry (1996-2001). 10) The Chairman of Development council for Cement Industry (DCCI) constituted by the Government of India from 1992-2006.